So what's Christmas going to be like for retail sellers and buyers in 2017, 18 and beyond? One thing's for sure, Santa Claus isn't the only one coming to town. He's bringing with him a whole lot of IT and customer service gifts. Here are some sales trends to keep an eye out for, and to inject into your own sales and marketing mix over the coming festive season and years ahead. If there is one thing that's impacting the retail world in a bigger way than broader e-commerce, it's the mega-computer in our hands - the smartphone. The convenience of researching goods and services on the move, making choices in well-designed responsive sites, apps and paying through secure gateways means retail is moving to mobile. consumers spend 70% of their retail purchase time browsing on a mobile phone, even if the final transaction takes place in store or on another device. 40% of millennials research on their mobile phones prior to purchase and often leave a review of their purchase using their mobile phone as well. UK department store John Lewis has merged the online and offline worlds well. They allow in store shoppers to buy their products using smartphones and QR codes. "It's all about me" has taken on a new meaning over Christmas. Self-gifting is becoming the new dabbing as people reward themselves for working harder and longer hours. Plus, many high- income earners are singles and couples plenty of disposable money and no kids to lavish in gifts upon. More and more brands have smartly come up with 'Treat yourself' type campaigns, with more retailers are making self-gifting offers and promote self-gifting in advertising. Maybe it's a millennial thing, but 77% of retail shoppers now use their mobile devices to find information while in-store instead of asking a sales assistant for help. In some shops, virtual customer assistants, also known as chatbots, offer personalised assistance in-store using context from a customer's online activity. By collecting and identifying customer questions in-store, retailers can add up valuable insight into customers shopping habits. Understanding consumer behaviour through data, surveys and purchase patterns gives retailers opportunities to personalise service for each customer. 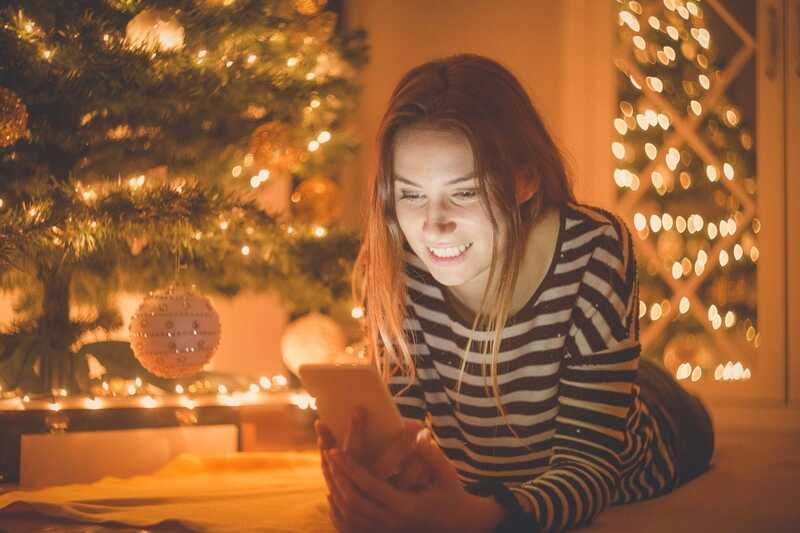 Christmas Day is rapidly emerging as one of the hottest online and mobile shopping days, with more shoppers choosing to shop online before and after they dig into their turkey, seafood and a few glasses of Christmas spirit. Brands that make face-saving and merrily spontaneous purchases and same day delivery possible are taking a bigger share of the pie each year. And nearly 70% of online purchases made on Christmas Day were carried out using a smartphone. Smart technology and higher levels of personalised customer service are going to become crucial for retail success in the years to come. Use this Christmas season to start trialling ways to weave into your own marketing. Even in simple ways. And if you need some Christmas marketing advice and help, contact your local Snap Centre experts today.